Create new ways to explore the artwork in your collection through super-high resolution images and impressive multimedia storytelling. Upload your high resolution images (minimum 24 Mpx) to our platform and our solution will automatically manage to convert them to a navigable format, with zoom on demand, and leave them ready to add the rest of the interactive features. Choose where you want to publish the result, and the platform will take care of generating the appropriate format for it: a widget for your website, a native library that can be embedded it your mobile apps, an object that you can include in your iBooks and digital publications, or even an adapted version to build digital exhibitions! Use our content manager to organize your “enriched” images, select what you want to highlight, and publish them as a native app that is iOS (Apple TV included) and Android compatible. Use this material in class to get your students interested in art through stories and details of the artwork. Make your collection reachable by audiences anywhere in the world, through digital exhibitions of your own or collective ones together with digital versions of works of art from other museums, with no transport costs, no insurance costs, etc. Working with Madpixel on Second Canvas software was very important for Paris Musées. Indeed, publishing our artworks online is one of the main goal of the institution to make discover the objects of the collections of the 14 civic museums of Paris. Second Canvas allow us to go way further than a classic online collection platform! We can propose very strong storytelling on our masterpieces and discover them differently with very high resolution pictures. This project brings together all different knowledge from our museums and have been assessed very positively by everyone! After a first version of the project, we all agreed in Paris Musées to do more with them and with the Second Canvas software. Second Canvas gives us the opportunity to combine, on a single platform, content that we have been working on in different areas of the museum: education, conservation, documentation, etc. with the added advantage of interactivity. And adapt it to different uses and audiences, defining projects ad hoc. Director of the Cristóbal Balenciaga Museum. Visitors to the gallery can spend a minute, even just half a minute, looking at a picture. 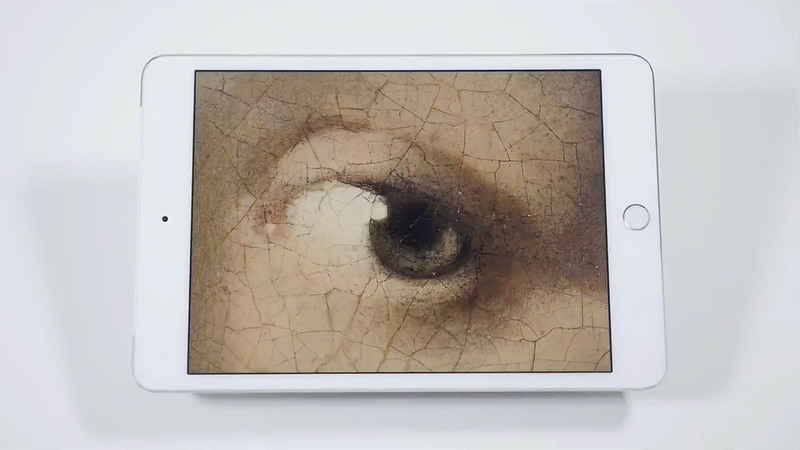 With the app you can explore every centimetre of the work of art in your own time on your iPad, leading to a deeper understanding of how it was created and every detail the artist included. For the Telefónica Foundation, Second Canvas is a tool of great value. First, it is totally in line with our philosophy of joining art and technology to spread culture, and it contributes to positioning us within this context. And additionally, apart from being an ideal means for conserving our collection, it permits us to approach art in an innovative way-in keeping with the XXI Century- and so open doors to other interpretations that are the result of this digital perspective. Many apps and websites offer gateways into a museum’s collection but very few have the elegance and the sheer joy-of-use achieved by Second Canvas. The careful attention to user-experience and design makes it a wonderful addition to the suite of interfaces that we at SMK offer our guests. Here’s an app that actually manages to rival the experience of print publications. If you’re interested in art and the different interpretations technology can contribute to it, check out our job offers.